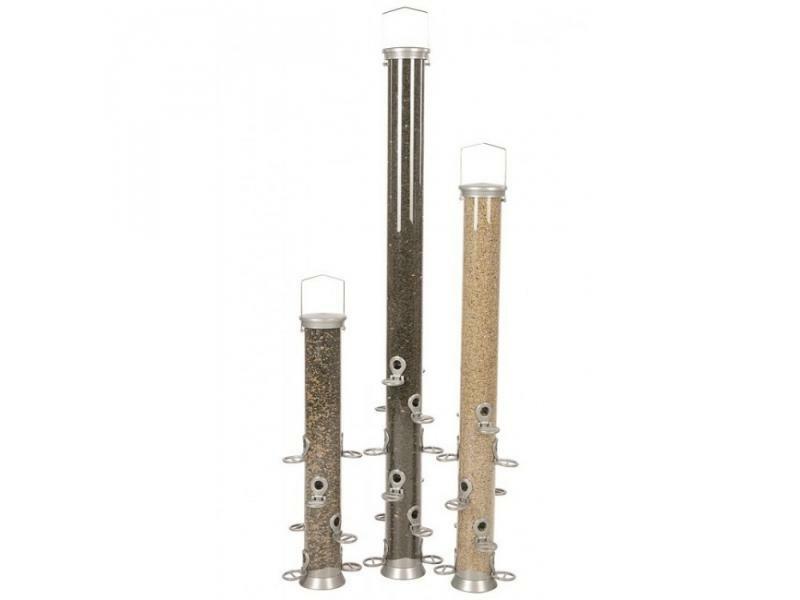 A high quality, high capacity tubular bird feeder, great for storing seed for garden birds. 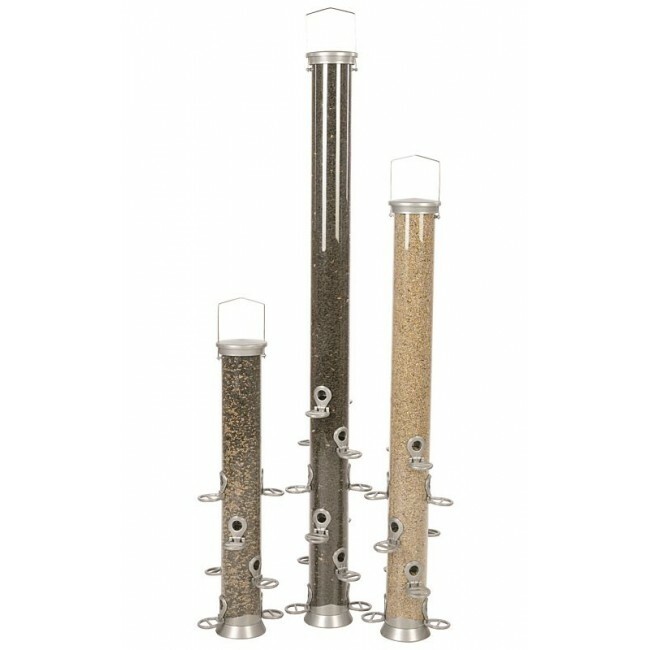 The feeder comprises numerous feeding holes and perches, a metal base and a sturdy metal hanger. Ideal if you are going away and want to ensure your birds are kept fed for the duration, or simply if you want to provide a vital source of enrichment for a number of birds at one time. Made from powder-coated zinc for guaranteeing longevity and providing excellent resistance to squirrels. There are currently no questions for Conqueror Seed Feeder Silver - be the first to ask one!